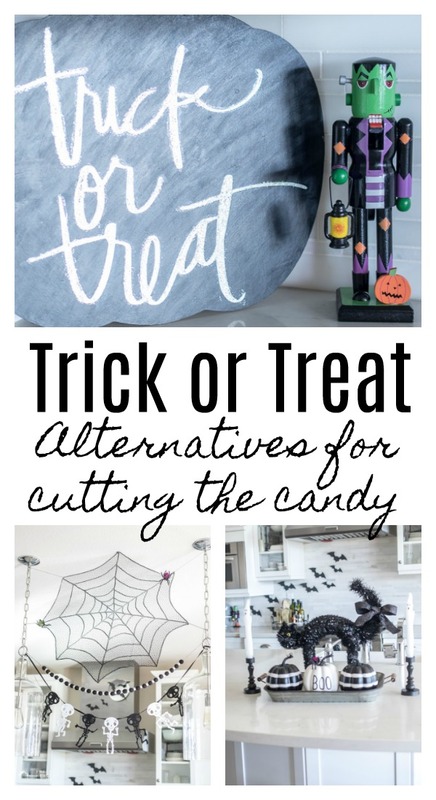 Some easy and fun alternatives to trick your kids into having less or cutting down on the Halloween candy. Before you declare me the Grinch-o-Witch of Halloween and trick or treating, hear me out. Does anyone get excited about all the Halloween candy their kids get? Unless you’re stealing some from their bins, most parents don’t love it, and try to find ways to get rid of it: dentist buy-backs, sending to the troops, gradually throwing it away, etc. I think we all agree that it can be a bit excessive. Forbes estimated that Americans would spend $2.7 billion on Halloween candy in 2017. Sort of amazing, right? And we all know that it really isn’t good for our kids, yet we let them eat it anyway. It’s Halloween, that’s what you do! But how does the sugar and artificial dye really affect our kids’ developing brains? You’ve heard it all before: Sugar is linked to childhood obesity and dental issues, Type 2 diabetes, and the American Hearth Association recommends less than 25 grams a day for kids ages 2-18 (that’s not much!) and none for kids under 2. One top of that, it’s not good for the liver either. It’s also filled with artificial dyes and flavors that are proven to effect kids’ behavior and sleep and those same artificial colors are banned in the EU (not in the U.S., but don’t get me started on that). And this isn’t scientifically proven, but it may not be a coincidence that our flu and sick season are right around the time we are eating tons of sugar around the holidays. Yes, seasonal changes and lowered Vit. D absorption are factors, but what we eat can affect our immune system. Don’t get me wrong, I’m not totally anti-candy on Halloween, but I think we tend to overdo it. This year I’m passing out gummy fruit snacks and popcorn. Will I be the favorite house in town? Of course not, but believe me, no child will be deprived. My kids do have some allergies so we can’t eat much candy because of the gluten, dairy, artificial dye and natural flavors (MSG). So we’ve had to come up with some alternatives. This one is my kids’ fave! It’s like Halloween’s Santa. 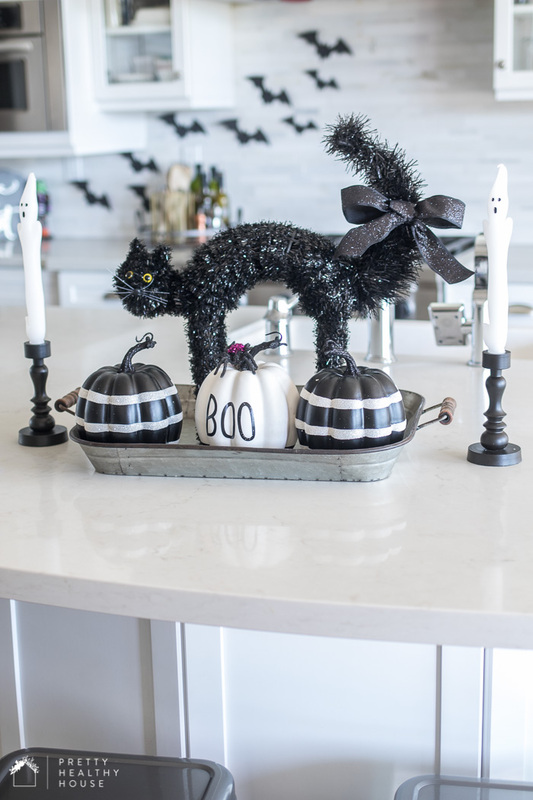 The kids decide on a big toy (the budget depends on how much you don’t want your kids to have candy), and they write a letter, leave their buckets full of candy out, and that toy arrives on or around Nov. 1. 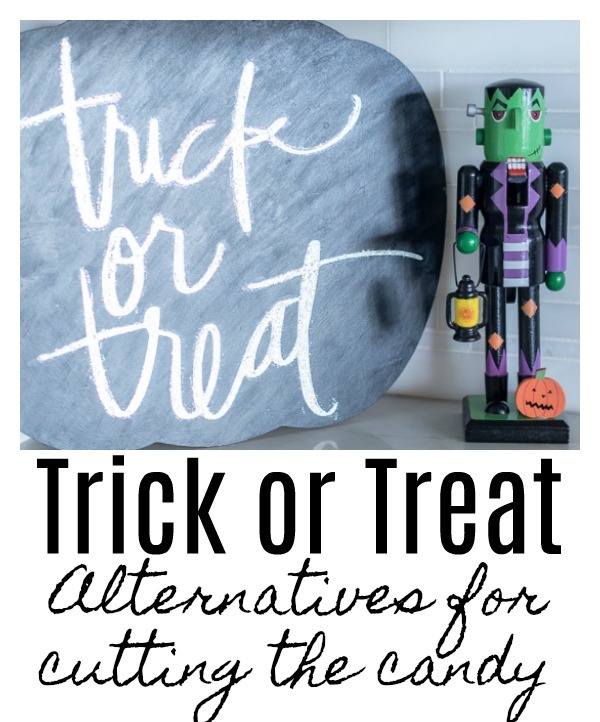 The kids leave their candy bags out on the porch on Halloween night and then in the morning they will their bins filled with some dollar store toys, some healthier candy, or crafts. Switch Witch or The Great Pumpkin may ruin the fun of trying to get a big stash of candy during trick or treating. 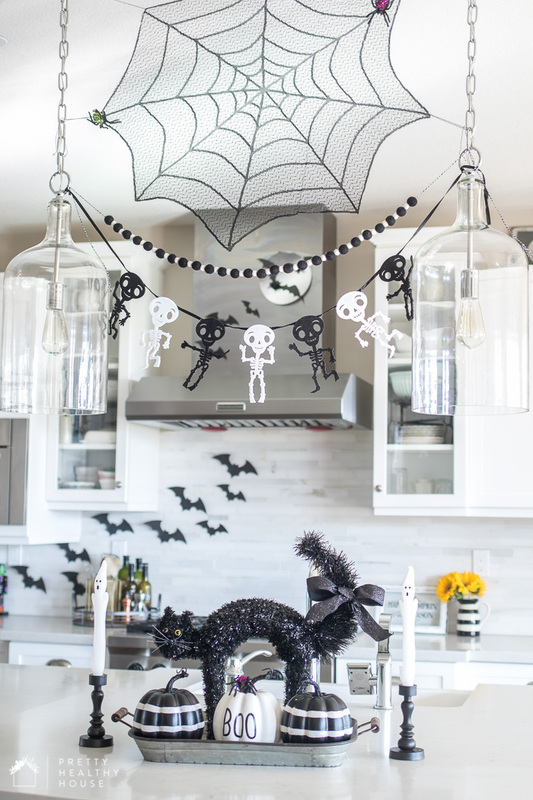 If you want them to be excited about the hunt and gather, consider a cash for candy option where each piece is worth a certain amount of money. We tried for 5 cents per piece one year, but that was negotiated to up to 25 cents. Food Babe has some great options for organic and healthier candy. Although this candy is much better than the usual variety, there are still some additives and it still has a lot of sugar, but it’s definitely the lesser of two evils. Since we all wind up with extra candy, check out Soldiers Angels or Operation Gratitude for donation. Or a buyback program with a local dentist, click here to enter your zip code and find one. If you end up keeping the candy, dentists say it’s best for your teeth to just eat it all at once, rather than a little each day, according to Time Magazine. And if you’re lucky, it might make your kids so sick that they may never want it again. 😉 I never had another gummy bear after binging when I was little. Win-win. What’s your favorite less-candy Halloween option? If you like this post, please pin for later! 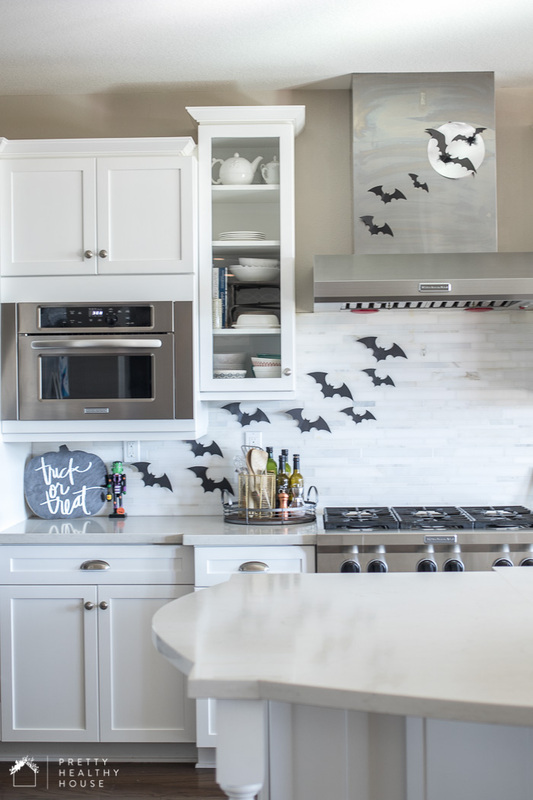 All of the Halloween decor pictured is from Michaels and Target. Happy Halloween! Love these ideas—especially the switch witch. Thanks! Ah, yes, love these ideas! I wanted to hand out pencils this year, but the kids gave me some eye rolls on that one, haha. Happy Halloween, friend! Oh, that’s awesome! Luckily we don’t have many trick or treaters! Hope you guys had a great Halloween!